The girls of the Penrose Road school netball team with their coach and the Headmaster. Front Row (l to r): Diana Hocking, Joan Williams, Pamela Pascoe, unknown, unknown. 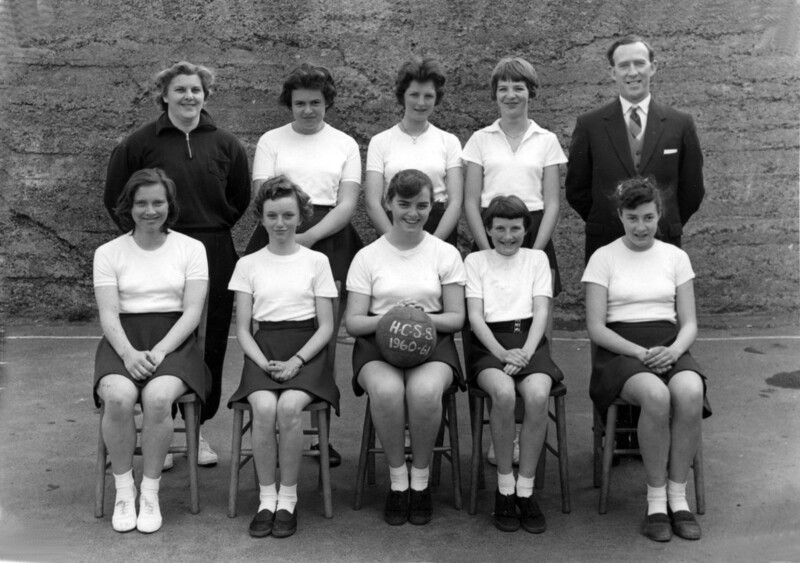 “Netball Team, Helston County Secondary School, 1960-61,” cornishmemory.com, accessed April 24, 2019, http://cornishmemory.com/item/HGS_046.